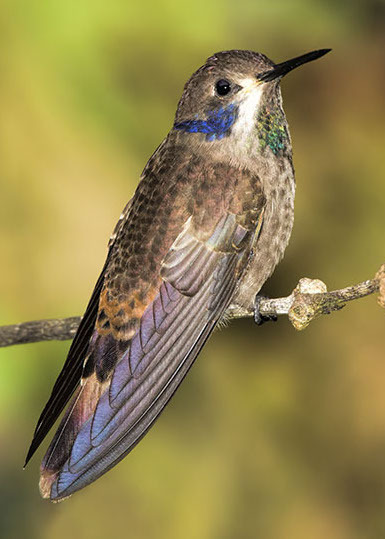 Several species of violet-ears occur in Central and South America; this is the brown violet-ear, one of the least colorful (a very common species is the sparkling violet-ear). 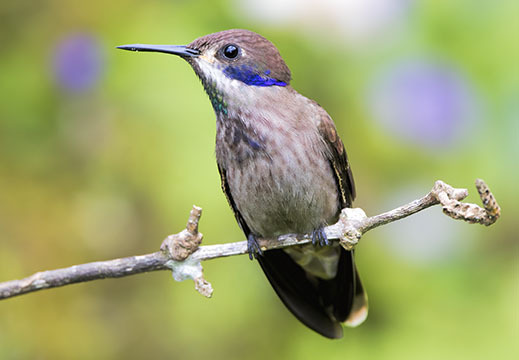 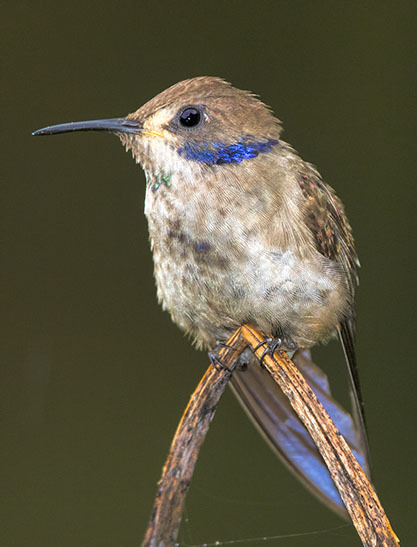 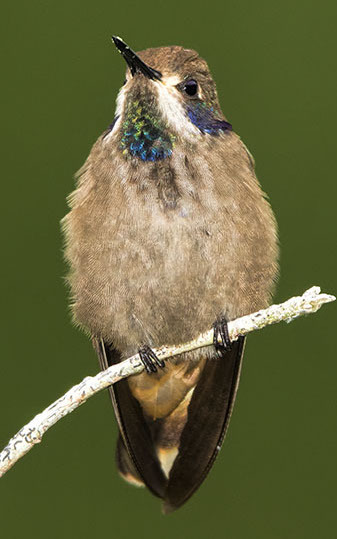 They are medium-sized and often very aggressive hummingbirds that frequently dominate feeders (or try to). 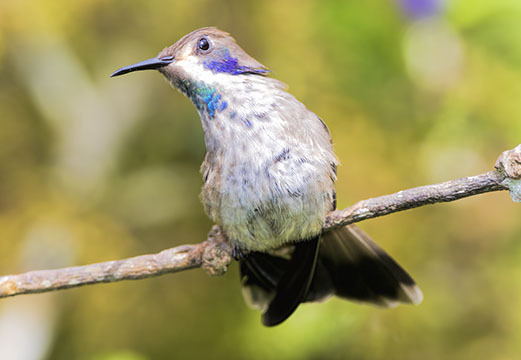 These were photographed at about 2000 m elevation in the Western Andes near Cali, Colombia; the one below at left is sun-basking.